Multifunctional knife sharpener features pre-set angled stainless steel blades to provide quick edge sharpening for knives! 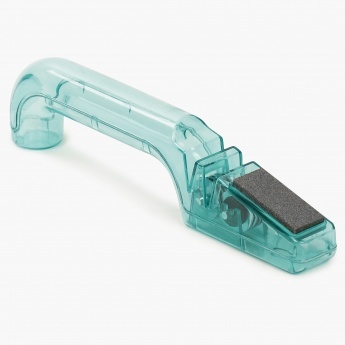 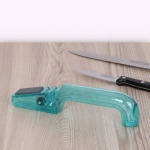 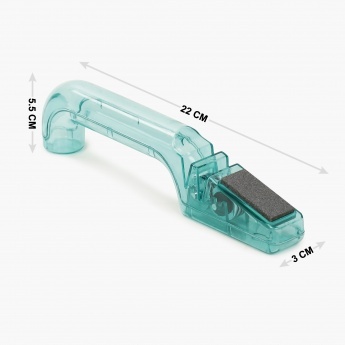 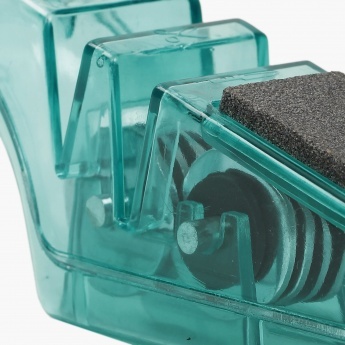 The durable long acrylic handle keeps your hands away while sharpening. It also comes with a sharpening stone which maintains the cutting edge of your knives.